Anthea Hamilton’s interdisciplinary interest in performance is evident in her sculptural assemblages and installations whose tableau-like quality makes them reminiscent of stage sceneries or film sets, and which she has referred to as ‘performative spaces’. Her sculptures, idiosyncratic constructions precariously balanced between emergence and collapse, function like props for stories that remain to be told. 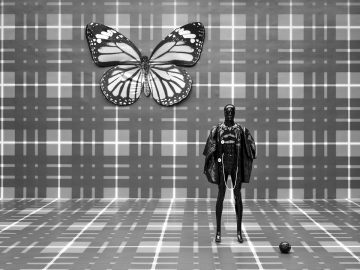 Hamilton’s work is rooted in wide-ranging research, on the one hand, whether she explores strands in cultural history such as the roots of 1970s disco, art-historical references like Art Nouveau, radical Italian design or Japanese kabuki theatre, documentary photography or lichen. 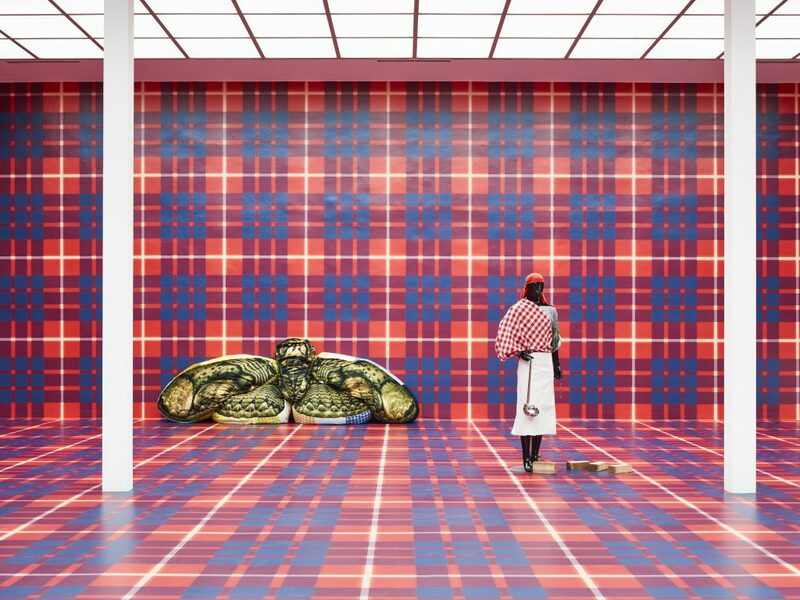 Each subject is studied closely and used as a lens through which to understand the world. 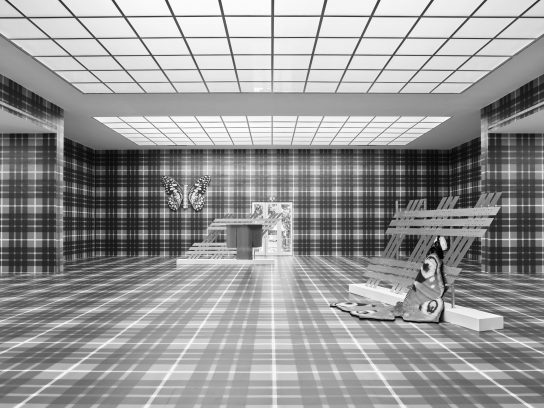 She is equally interested in the qualities of a space, which she responds to with site- specific installations, and dedicates great attention to both the making and presentation of meticulously crafted objects. When she creates physical, larger than life realisations of images that she has collected – of a drawing by Robert Crumb, for example, or of a model for a door by Italian designer and architect Gaetano Pesce – she addresses the issue of how we perceive the world around us, both in terms of visual language and space, as well as in terms of the spectacle. 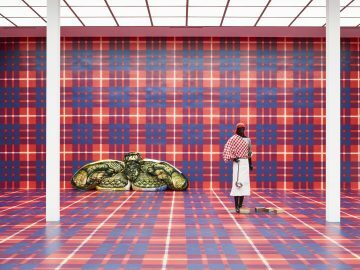 For her first solo exhibition in Austria, in Secession’s iconic gallery space, Turner Prize nominee (2016) Anthea Hamilton has developed an immersive site-specific installation. 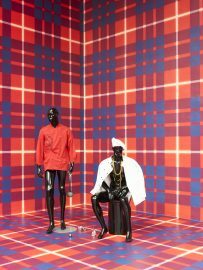 The artist has occupied the space by covering it with an all-over pattern, namely a Hamilton tartan. 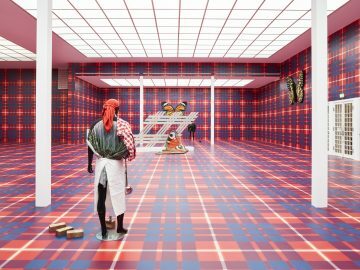 The tartan’s squares echo a strong element of the space’s design itself – the square grid of the glass ceiling, and this also has a striking effect on how the space is experienced. 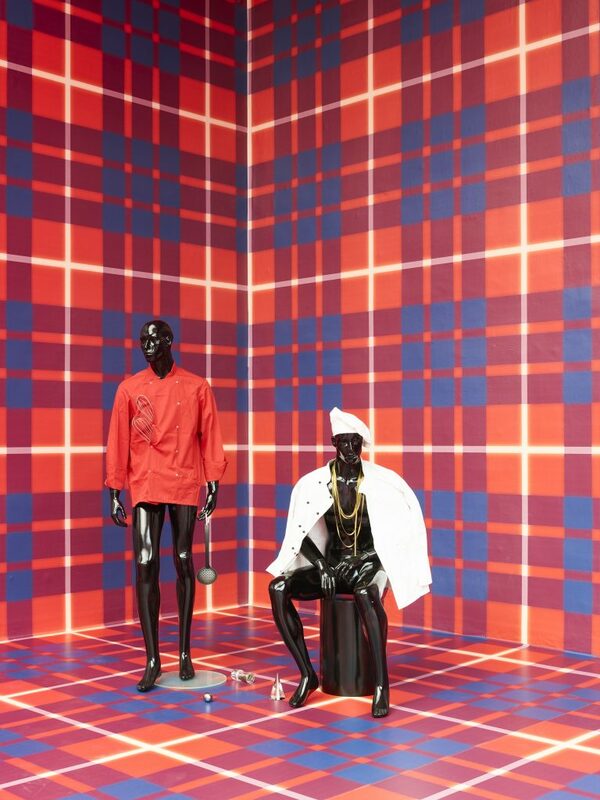 She has turned the space into her own, using this environment to present a number of individual sculptures: A group of shiny black mannequins (Vienna Chefs, 2012/2018) point to the artist’s interest in fashion, as the tartan does, quite obviously. 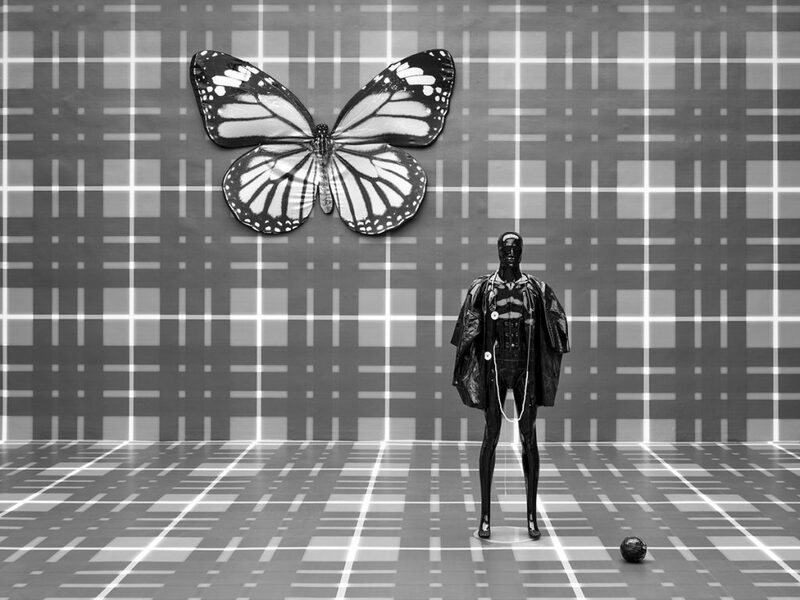 But the works are just as much about transformation and nature, which is evident in enormous butterfly objects (Peacock, Monarch, and Cloak Moth, all 2018) that are loosely placed within the tartan’s dominant grid, in a motif printed on a kimono, or by the use of organic materials and vegetables. 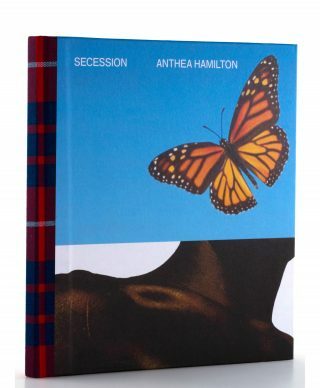 Asked about her sources of inspiration, Hamilton has frequently mentioned the French writer Antonin Artaud and his idea of a “physical knowledge of images.” It is this bodily response to an idea or an image that she wants us to experience when we encounter her work and its use of unexpected materials, scale and humour; like the off-kilter proportions of the various elements, they attest to the fine sense of humour that sustains her art.